In the latest of our CEO interviews, Cesium Group – in association with the drinks business – spoke to Concha y Toro UK general manager Simon Doyle about sponsorships, own-label competition and future trends in the industry. Your business results have been very healthy in recent years with double digit volume and value growth, what would you attribute this to (aside from a stellar headhunting partner!)? This is a result of having clear goals, defined strategies and long term commitment. We have a significant investment programme in our key brands that has enabled us to grow both volume and value sustainably. We have seen many examples of potentially strong brands being undermined by short term distractions and they act as a reminder of how easy it is to lose focus and discipline. None of our achievements would have been possible without a strong team of professionals. We have worked hard with people such as Cesium Group to enhance our FMCG capability, with many new recruits coming from established brand leaders outside of the industry, to complement the great experience of those that have helped us to build our business over many years – it’s proved to be a winning formula. The business has invested very heavily in sponsorship and activation platforms in recent years with Sky Movies, Tour De France, Manchester United, Rugby Premiership and most recently the BRIT awards. Which platforms have been most effective and do you see this investment as a long term strategy for CyT? These sponsorships are the hooks that allow us to engage awareness amongst customers and consumers, all the way through to effective activation at the point of sale. We have learnt a great deal over the last couple of years by working in partnership with Sky Movies & Casillero del Diablo; Tour de France with Cono Sur and the Aviva Rugby Premiership with Trivento. 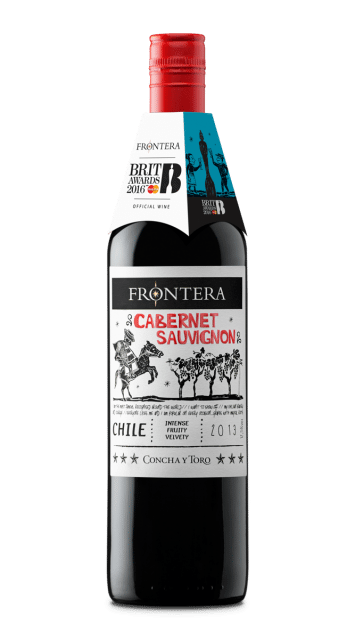 We are now really excited about how Frontera and The BRITs will work together to engage much needed younger adult consumers into the wine category. To build brands you need to engage and activate over a sustained period, so yes, these partnerships are long term. The Tour de France is an interesting platform with France’s wine heritage how effective has this been for Cono Sur? This was our first major partnership and an important reference for us. The resulting success for Cono Sur’s distribution and overall growth in the UK helped the decision to extend the Cono Sur/Tour de France partnership to other markets. In recent years there has been a consumer backlash against mass market branded wines combined with premium own label and the discounters capturing significant market share, how have CyT combatted these threats? I don’t recognise that there has been a backlash against brands, though I do accept they are not so readily available within the discounters. The evidence suggests that brands offering a strong quality offering are becoming more relevant, as they offer shoppers recognition and assurance in a category that can sometimes be difficult to navigate. In our case we have managed to grow our market share by concentrating on what we do best: building our brands sustainably, by offering great value for money, expanding distribution to make them readily available and attracting interest through a programme of activations and events. As a result we have increased awareness, improved rate of sale and have more households buying into our brands. The discount retailers appear to be stealing a march on capturing the mid premium sector within the wine category, what can we learn from this in terms of shopper insight and consumer trends? The wine category can be a challenge for shoppers to navigate, so in some instances reducing range, but improving availability has allowed for quicker decisions for consumers, especially in the discount retailers. The big learning for us has been making sure that you know what role each of your brands play in the wine category. If you are clear on this, you can build a plan with retailers to ensure the features and benefits are more effectively communicated and allow shoppers to make more informed decisions. 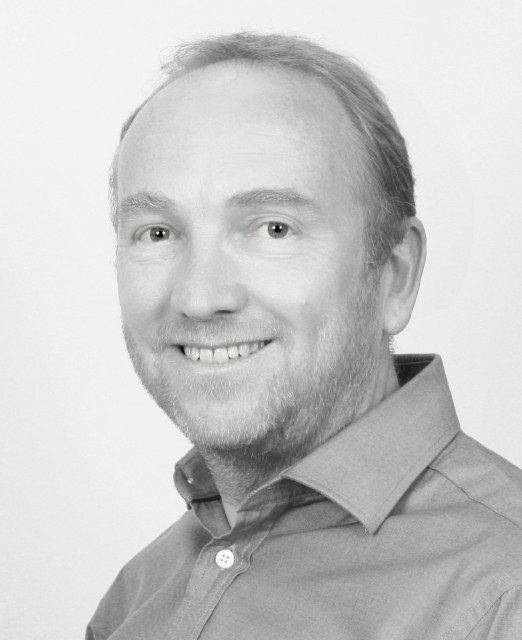 International expansion in the Nordics, Germany, Russia, CEE and Australia for CyT currently seem to be having a very positive impact on the global numbers and stealing a march on the likes of Gallo, is there still much headroom for expansion in the UK with SKU consolidation within the major multis? My focus is absolutely on the UK, where there many opportunities. Whilst the overall size of the market is contracting a little, the opportunity for brands to support a more healthy and sustainable wine category is clear. A healthy wine category is one in which shoppers are offered a good balance of choice and availability as well as trusting they are getting value for money. This does not mean cheap, Casillero del Diablo is one of the fastest growing brands in the top 8 and commands the highest average retail price. What do you think the future looks like for the wine category, what trends and projections do you foresee? The wine category is showing signs of advanced adolescence. There is still some irrational behaviour, but more and more we are seeing informed range decisions being taken according to objective evidence. This is a good thing, the wine industry needs to step it up and adopt the professional disciplines that other FMCG categories practice if it is to develop sustainably – putting consumers’ needs at the forefront. If we do our job properly by providing relevant insights, I expect to see mainstream wine categories focusing on what customers want and offering positive challenge to encourage trial and recruit new consumers. There is the long term issue of recruiting younger adult consumers, with brands like Barefoot and our own Frontera playing a leading role. With the right propositions, I see an opportunity for the growth of premium wines, as consumers become more confident in retail pricing structures. What’s next for Concha y Toro and how do you see the businesses role in the industry? Commitment to long term investment in our brands, their distribution and customer activation will continue as our focus. As we grow, we see our role also to be one of leadership within the wine category, by helping to steer the direction towards sustainable development. Building and then retaining consumer trust is critical to our industry’s future and I believe we and our brands are well positioned to support this agenda. We are very positive about the future. Cesium Group is a boutique headhunting and HR consultancy working across the beers, wines and spirits categories, both globally, and in the UK. We take the best elements of process and structure from the big international search firms and HR consultancies, but redefine them in a more agile, authentic and immersive way. The result? Better than best practice that positively impact the bottom line of our clients. This article, sponsored by Cesium Group, appears ahead of the next Thought Leadership report covering the UK wine trade, which is appearing in the March issue of the drinks business.